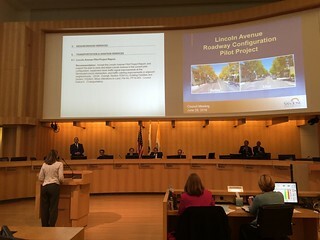 In a highly-local and much less important community debate, on 28 June 2016, the San Jose Mayor and City Council voted to approve that the highly-controversial Road Diet be made permanent in my home neighborhood of Willow Glen. This final decision was welcomed by many and deeply regretted by as many. The way the discussion was handled did little to rebuild the community strength that the discussion has eroded during the last year. My husband John Plocher and I were among those who formally spoke against the decision, out of about a dozen citizens who were given one minute each to address the Mayor and City Council. 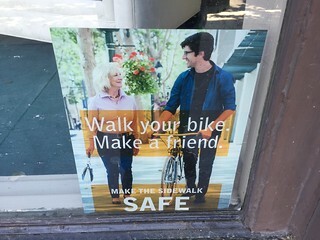 We only came away with a tiny win: as part of making the “Lincoln Avenue Pilot Project” permanent, the City Council also voted to ban adult bicyclists from riding on the sidewalks of Lincoln Avenue – a welcome change for the better! When I compare the diplomacy and sensitivity with which the Rev. 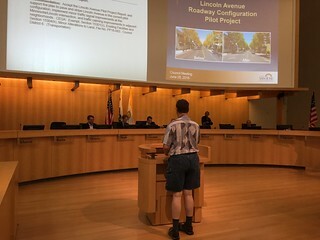 Gay Clark Jennings managed the raging discussions last summer with the rough “take it or leave it” style in which our local Road Diet controversy was managed, I feel that San Jose’s leadership does not shine. 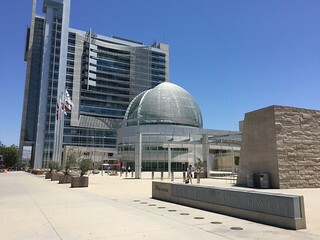 I hope that now the decision is made, San Jose’s City Council and neighborhood groups like the Willow Glen Business Association (WGBA), and Willow Glen Neighborhood Association (WGNA) will start to rebuild the community peace that was lost to the Road Diet controversy. 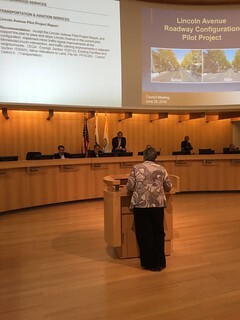 WGBA Board meetings are open to the public: 8 am on the Second Tuesday of Every Month, at the Willow Glen Community Center (2175 Lincoln Ave., San José). The next WGNA Board meeting will be Thursday, 28 July starting at 7 pm at the Willow Glen Public Library (1157 Minnesota Ave., San José). Meeting is open to Members and Residents.